More than a year has passed since the first sensible character learning challenge started on the first day of 2013 where more than a hundred learners participated. Many participants (including myself) liked the challenge because it encouraged critical thinking about how to learn Chinese characters in a sensible way. Of course, we also learnt a ton of characters together! Since that challenge closed, I have received dozens of questions about when it will open again. Some of you missed the challenge last time, some of you have started learning Chinese after the challenge finished, others, including myself, have been in the game for quite some time, but have been slacking off recently and need to get back on track. 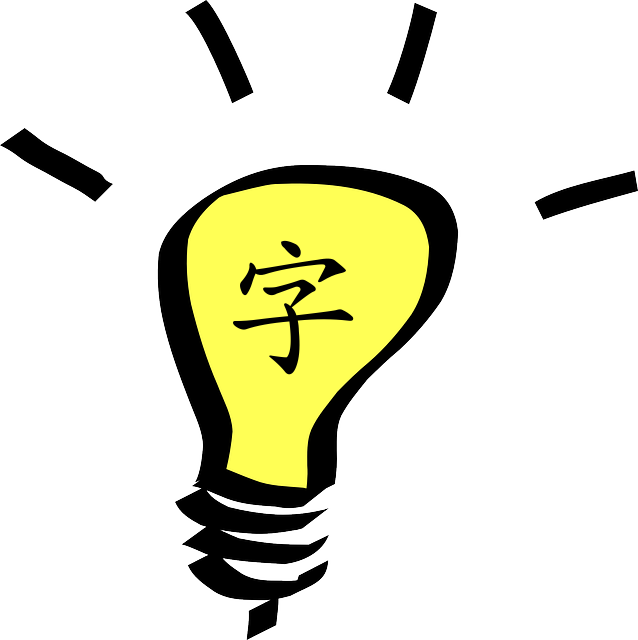 The Chinese character challenge 2014 is for all of us! In order to avoid information overflow and too long articles, I have decided to split information about the challenge into two parts. In this first article, I will talk about what sensible character learning is; the next article will contain information about the actual challenge, which will start on March 22nd. I will of course give you enough information to start preparing right now if you want to. The first one is simple enough, but what does “healthy” and “sensible” mean when it comes to learning characters? Most learners want to learn a lot of characters, but just diving in headlong isn’t necessarily the best approach, because even though some strategies might be effective short-term, long-term investments are needed to really learn Chinese. Thus, we need to look at the process of learning and see how we can learn more efficiently. The main lesson here is that learning a new Chinese character should be an active, exploratory process. I suggest the following sequence for learning new characters: Study the character closely (including stroke order), write it a few times so you get the feel for the character, don’t copy characters stroke by stroke, once you know the character don’t mass your repetitions, practice pronunciation and meaning at the same time as writing, if you see a character component reappearing in different characters then look it up, diversify your character learning (see below), create a powerful character-learning toolkit. 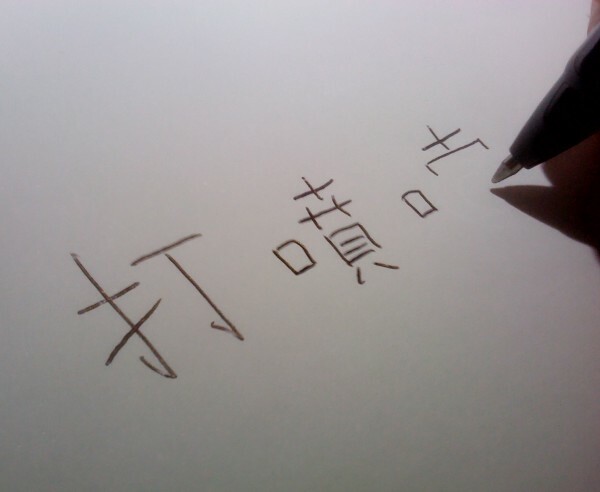 If Chinese characters were pictures, learning to write (“draw”) Chinese would be almost impossible. Fortunately, most characters consist of different smaller components that have an existence and meaning of their own. For beginners, it doesn’t make sense to learn all components simply because some of them aren’t very common. A certain type of components called radicals typically carries the meaning of a Chinese character, and learning the most commonly used radicals is very important in your attempt to make Chinese learning meaningful. 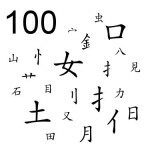 This article gives you the 100 most common radicals, along with information about what they mean, what they look like, where they appear and what they are called in Chinese. 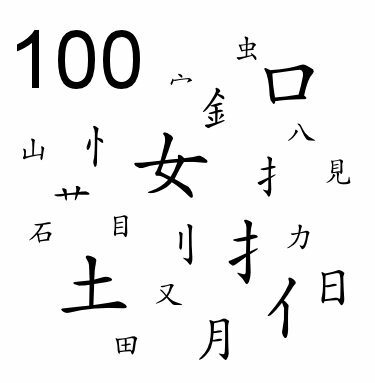 Even if it feels like you can learn Chinese characters without understanding much of what you’re doing, this is an illusion. Learning to read and write at a reasonable level is very, very hard to do if you don’t deconstruct characters and make learning meaningful. It’s doable in theory, but not in practice. A central component in sensible character learning is to not rely on rote learning. There is no substitute for spending lots of time learning characters, but we should make sure that that time is well-spent and not wasted. Most native speakers learnt writing through rote learning as kids, but they also have a pretty good understanding of radicals and components. What’s the opposite of rote learning? It is to understand what you are learning and trying to make sense of it in different ways (see Holistic language learning: Integrating knowledge). The most powerful way of integrating knowledge is through the use of mnemonics. This is a learning strategy where you make use of the way the brain works when it comes to storing and recalling information to learn more and forget less. The most important thing to realise is that remembering something isn’t a static ability set at a certain level at birth, there are numerous ways you can actually improve, so in essence, remembering is a skill you can learn. 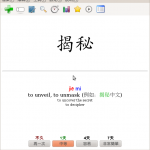 This is a kind of program or app that helps you review new words as efficiently as possible. It’s based on the thoroughly researched spacing effect and you should really try it out if you haven’t already. 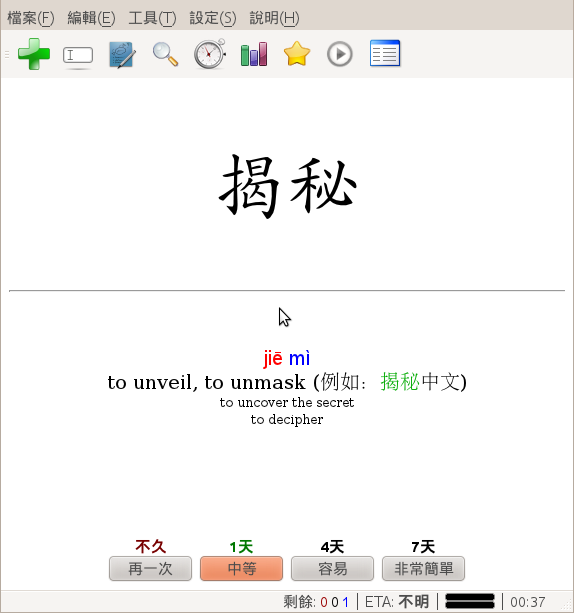 Note that it’s spaced repetition, so this is meant to be used when you have already learnt a new character (see above). Spaced repetition software will feed you cards to review at just the right pace for optimal learning. Since most of these programs are mobile or have mobile versions, they are also very good ways of spreading out learning over the day and make better use of the time you have. 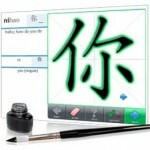 Just like last time, I’m using Skritter for learning to write Chinese characters and you recommend that you do so too. If you use this link and use the code SENSIBLE2014 when you sign up (click “alternative payments” and then “use a coupon code”), you will get the trial period extended to three weeks, which is enough to last you up to the first milestone of the challenge. You will also get 33% off for 6 months if you actually like Skritter enough to want to continue using it. You will also help me out since a slice of what you pay goes to me. If you’re looking for other alternatives, I recommend Anki or Pleco. Regardless of what flashcard program you use (or indeed even if you decide to go with traditional paper flashcards), it’s essential that you spread your studying out throughout the day. Are you too busy to participate in this challenge? That’s probably because you’re not aware of how you spend your time. An excellent illustration of this is available in this article: The time barrel: Or why you have more time than you think. Learning characters doesn’t have to take up a lot of your time! More details will be published in a few days, stay tuned! That’s cool, you can use whatever tools you want! Will publish more info on Thursday or Friday, stay tuned! You can now sign up here! I think you should be able to combine this with almost anything because of the flexibility of the challenge. Please include details about your writing project even if it’s not part of the official challenge! You can now sign up here! I have always really liked that phrase in Chinese… although it is a tongue twister! Good choice for a site motto and very well represents what you are trying to do here. 2) Did you change your blog settings in any way? Particularly as it relates to the comment posting area? Previously, the comments section always loaded fine for me, but today I noticed that it kept “failing to load” unless I jumped the great wall. Oddly, I could read the post fine, just could post a reply. Not sure if it was a a one-time blip or will be on-going problem. 3) Bravo for your continued promotion of learning to write Chinese. As you know I’m a huge advocate of this myself, although I am still the proverbial “shoe smith with holes in his shoes”, as I myself have yet to master writing Chinese. 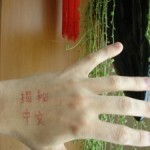 1) You are right, Chinese characters should not be learned by mindless writing alone. 2) We may slightly differ in our opinion though as to how native Chinese learn, as you mention above and have previously, that you feel their learning style is “rote”. However, I propose native Chinese do not learn by rote, as you yourself mentioned above they “have a pretty good understanding of radicals and components”. If your statement is true, which I believe it is… namely, natives do have a good understanding of radicals and components, then this in itself proves they indeed to do not learn by rote, but rather utilize many of the techniques you mention here, perhaps just in different form. Example, they too employ SRS like tactics by writing the same character repeatedly but at spaced intervals as they go to class daily, do homework, write reports, etc. However, this “SRS” is not quite as deliberate or concious as the SRS built into certain software tools. They do use various “memory aids and mnemonics to enhance learning”. 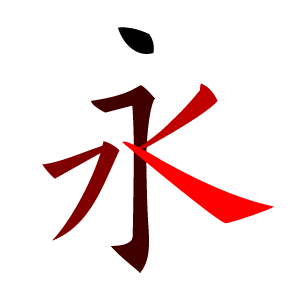 Many a Chinese person has told me the story behind the characters they know or even how it visually resembles the thing it represents. Likewise, they “diversify” their learning by coming in contact with Chinese characters throughout the day everyday in different contexts. Natives also start by mastering the most common radicals. Natives also combine character writing with learning pronunciation and meaning. Bottom line, the techniques you list here are good! 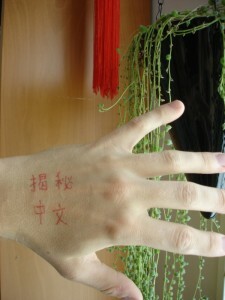 In fact, they very much model and reflect the principles by which natives learn to write Chinese. 4) I know you have had a long term relationship with Skritter, and I too respect Skritter for what it represents. However, personally it did lack a few features I was looking for. Thus I worked on creating nommoc. I like to take this opportunity to get your feedback, namely, how could nommoc make your list of recommended apps for use in the “sensible Chinese character learning”? In the future I’d love to see both Skritter and Nommoc listed together, both being recommended tools in your posts about learning to write Chinese characters. 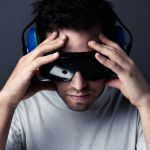 Skritter can perhaps be the big brother, big on features, big on content, big on price. 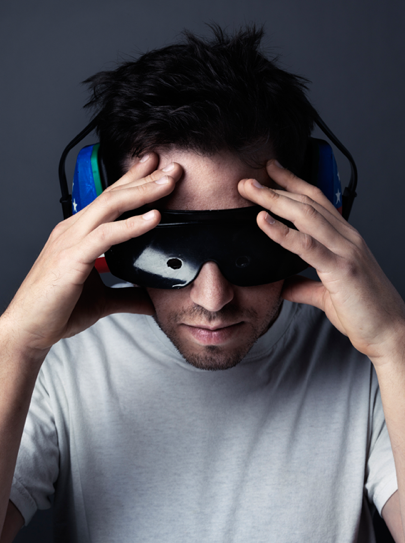 Together Skritter and Nommoc can give Chinese learners at all economic levels a choice. I’m a long time follower of you site, and will continue to do so. 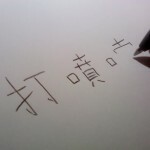 As such I’d really like to find a way to join in the effort to encourage all to learn to write Chinese, using sensible, effective methods and tools. Rather than looking to replace or compete with Skritter, I would love to be able to find a place beside Skritter, working with Skritter, to become a valuable tool used to learn to write Chinese. From the beginning I saw both apps as having their unique benefits, and being beneficial to learners for different reasons. Will stay posted for your next post on the 22nd. I did update quite a lot, but it seems to be working for me at least. The difference is that the full information for your comment isn’t available until you start typing (or at least click the input field), i.e. name, address, e-mail etc. are hidden. Btw, if you want people to find your app, I would suggest changing your URL to your website instead of to your Gravatar? I think there is a difference between what I do and what most native speakers do, not in principle, but in proportions. Chinese kids spend AN AWFUL LOT OF TIME mindlessly writing characters. They gradually build up knowledge of the structure of characters, but in my experience, I know much more than most native speakers about character composition and components, and I’m not even really interested in characters (I mean, that’s not where I do my research). So I agree with what you say, but only partly. I have added a link to Nommoc in the challenge article, hopefully some people will find their way to your site from there. Personally, I feel that Pleco/Skritter/Anki gives me everything I need. Of course, I do understand that some people might consider other alternative solutions (perhaps because of the cost) and that’s of course fine. My goal is to help everyone, not just those who can spend lots of money on fancy apps! You can now sign up here! After the first milestone, I will evaluate activity and people who are active will gain extensions on Skritter and the chance of winning posters from Hanzi WallChart! I’m very interested thank you! Looking forward to participating again this year, although I’ve still got to figure out what my goal should be. I just wanted to let everyone know that I’ve created a thread on the Skritter forum for the character challenge. If you’re going to be using Skritter at all, it would be great if you could share your goals over there too! How is Skritter handling marketing in mainland China? I see Skritter and Nommoc as complements, merit in using both. Might there be an opportunity to team up? Especially in helping you market inside of China? I am in too. Looking forward for the challenge! Hi Javi! You need to be a little bit more specific than that and include milestones as well, check at the other people who have signed up and you’ll know what I mean! Great, welcome to the challenge! I’ve added you to the list, 加油, and good luck! Welcome to the challenge, I will add you to the list in a minute! Hi! I can’t find either your e-mail or your name anywhere in the challenge, have you signed up using another name? Also, it would be helpful if you wrote your actual goals in numbers rather than percentages. Hi! In order to keep the challenge manageable, I prefer if people stick to the original dates. It’s of course perfectly okay to join now, but if you want to be part of the challenge in general, you just need to rephrase your milestones a bit, i.e. there’s only milestone #3 (May 31st) and the end of the challenge left (June 30th). So you’re free to change what you want to learn as you please, but the dates should stay the same! I’m working my way through Road to Success 1 in order to catch up for a class. So I’ll challenge myself to all the characters in the index of that book, about 200. Welcome to the challenge! Also sorry for the inconvenience with the subscription, glad you got it to work!